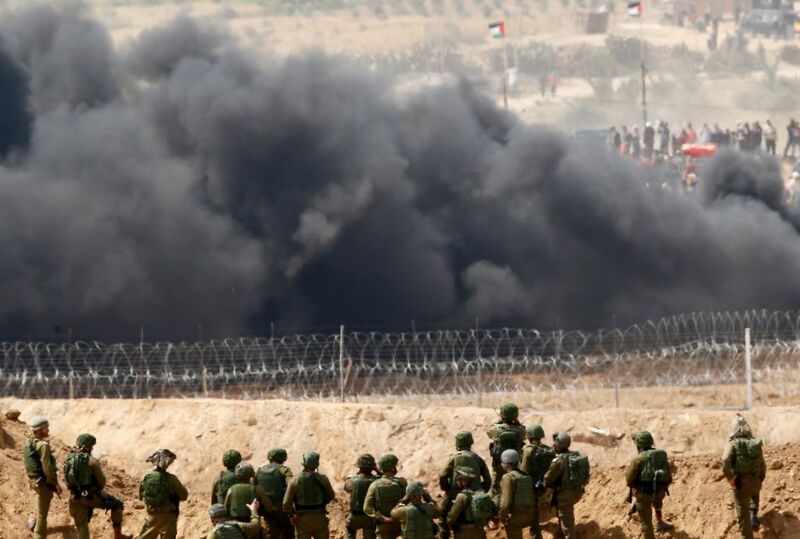 Experts debate: Could Israel have acted differently on the Gaza border? What should an army do when tens of thousands of protesters mass on its border? 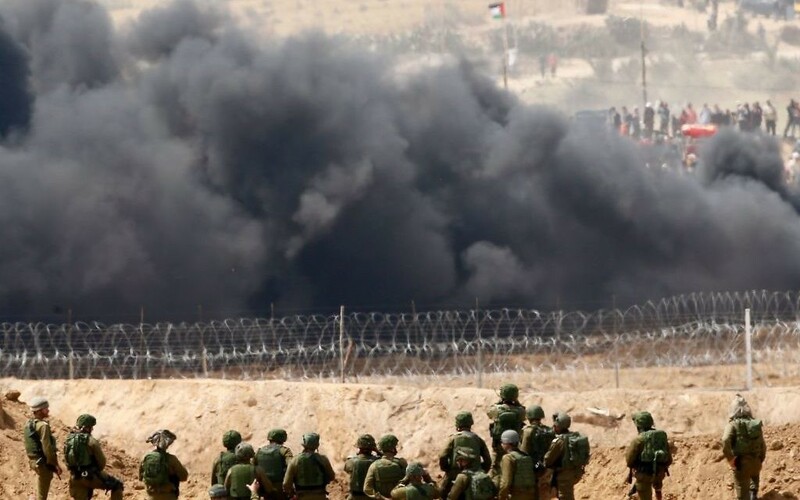 When that happened on Gaza’s border with Israel on Monday, Israeli soldiers opened fire on protesters who were storming the border fence, killing 60 and wounding more than a thousand. In the days since, debates have raged over larger ideas and issues like terrorism, occupation, withdrawal, blockade, civilians and militants. But in real time on Sunday, did the Israel Defence Forces conduct itself appropriately? Could it have defended its border with less bloodshed? Here are the cases for and against the IDF’s conduct — and an example of a similar situation where things ended a little differently. Defenders of Israel’s conduct say it minimised casualties. “The number of casualties was very, very small,” said Doron Almog, who led the IDF Southern Command from 2000 to 2003. Like other Israeli officials and veterans, he is defiant. 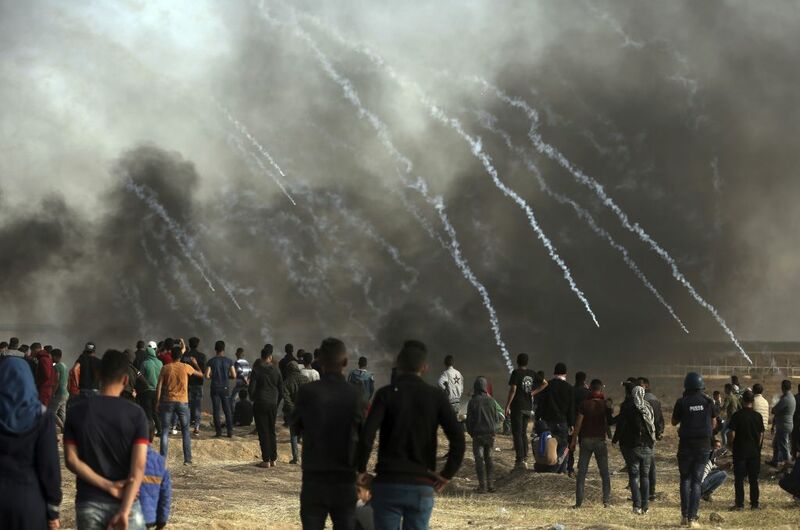 What the world described as a protest, he said, was a crowd-sourced operation by Hamas, the militant group governing Gaza, to infiltrate Israeli territory and harm civilians. 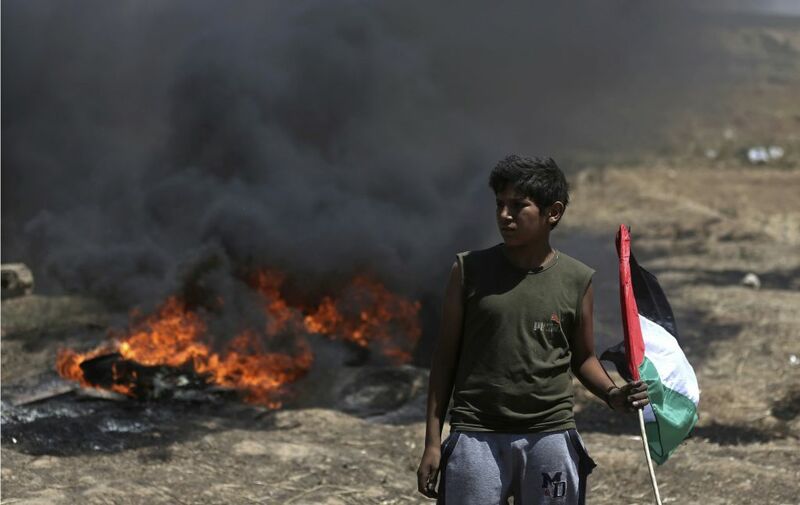 Defenders of Israel’s conduct all said that the core threat lay in protesters who were trying to break through the fence, which is only a couple hundred yards away from Israeli towns. 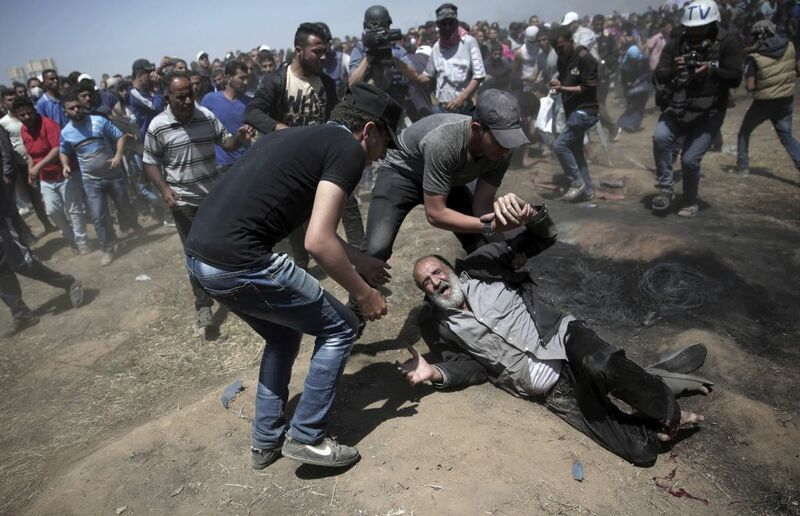 Protesters had to be stopped before they breached the fence, the Israeli officers said, because a break in the fence could allow thousands to stream through and overwhelm Israeli forces, and then Israeli civilians, at a close distance. Shooting protesters before that happened, they said, minimised the number of dead. And they all emphasised that Israel used crowd-dispersal means like tear gas and rubber bullets before turning to sniper fire. Israel has not officially accounted for every person it killed, instead publicly relying on a declaration from Hamas that 50 of the victims were its own members. But Shaul Shay, the former deputy head of Israel’s National Security Council, said the issue boils down to Israel facing an incursion on its southern border — and acting as any sovereign state would. A human rights lawyer says Israel must do more to protect human life — including those who breach a fence. “The Israeli forces have adopted rules of engagement that deviate in a not just dangerous but immoral way from what international law allows,” said Michael Sfard, a prominent Israeli human rights lawyer. Sfard acknowledged that Israel faced a threat on its border and had the responsibility to counter that threat. But those counter measures, he said, should not include live fire except if someone’s life is under clear threat. In other words, Sfard says Israel is not allowed to use live fire to stop someone from breaking through the fence. If that person has a gun and is coming toward soldiers, force would be acceptable, he said. But if not, soldiers should wound or arrest the culprit. Soldiers cannot simply assume, he said, that every infiltrator intends to kill civilians. Sfard likewise questioned the relevance of 50 of the dead belonging to Hamas. While Hamas is a terror group, it also has a political party and a bureaucracy that runs the coastal strip. The key question, Sfard said, was whether those Hamas members posed a threat to Israeli lives when they were shot. What happened when protesters breached Israel’s northern border? Both Sfard and Shay discussed a previous time when Israel had to deal with the same problem: a mass rush on its border by civilians. In June 2011, thousands of people in Syria stormed toward the border into the Golan Heights, with some crossing over. Israeli forces fired on them, killing 22 and wounding 350. No Israelis died in the clashes. Sfard and Shay both pointed to the incident as proof of their points. Sfard says that, in a case when protesters did actually rush into Israel, its citizens were unscathed, and fewer people died. Israel could have taken the same approach this week, he said. But Shay said the 2011 incident should be seen as a debacle, not a test case. The army was unprepared, he said, and should never have allowed anyone to cross the border. The fact that no Israelis were harmed, he added, was a lucky break that Israel cannot expect again. “It was a failure that the IDF wasn’t ready as it should have been,” he said. “Don’t bring a failure as a best practice.